Mold can be dangerous. Exposure to mold and mildew over an extended period of time can lead to a number of health issues, from mild to severe. Growth can cause nasal stuffiness, throat, eye and skin irritation and cough or wheeze. Those with mold allergies, autoimmune diseases, such as asthma, children and the elderly could experience more severe reactions. Long-term exposure to black mold can result in hospitalization or even death. Luckily, there are several simple ways to keep indoor mold growth under control. Home and business owners should adequately control humidity levels, including ventilating shower and laundry areas, and fix any roof, window or pipes leaks as soon as the issue is discovered. Thoroughly remediating water damage from leaks is also essential for limiting growth. Sometimes, however, despite our best efforts, mold creeps in and attaches itself to interior areas, visible or not. Attics, garages, basements, and bathrooms are particularly susceptible to growth, and traditional removal methods can leave unsightly stains. This is when products such as RMR 86 rapid mold remover can be used to quickly and easily restore mold-laden surfaces and eliminate discoloration. RMR 86 Rapid Mold Remover: What is it? 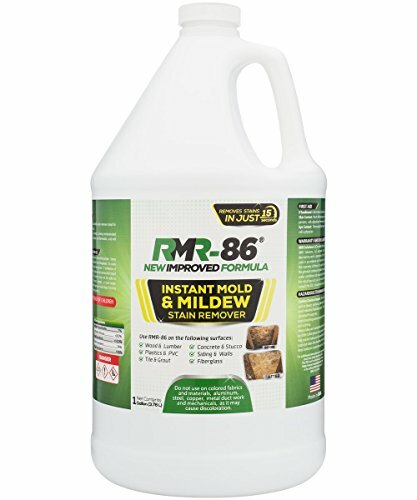 RMR 86 rapid mold remover, relatively new to the market, is quickly becoming an essential tool for contractors and homeowners hoping to safely rid surfaces of mold growth and stains. RMR 86 reviews repeatedly indicate usage of this product cuts labor time and costs in half. The bleach-based patent-pending formula in RMR 96 rapid mold remover works well on both hard and porous surfaces, such as wood, concrete, tile, drywall, fiberglass, RMR 86 Instant, without the use of a scrub brush or sanding. It’s perfect for the home or for boat decks, prone to growth due to moisture. The product needs only to be sprayed onto a surface – it comes ready to use, no dilution is required. Any mold stains or lingering odors will disappear within 15 seconds, according to many RMR 86 reviews. RMR 86 Ingredients: What’s in it? 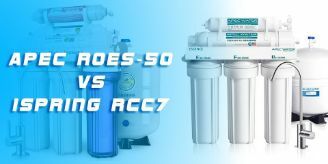 There are two primary RMR 86 ingredients – sodium hypochlorite and surfactants. The exact concentrations of each are undisclosed as trade secrets. Since this product contains bleach, users should take special precautions before spraying surfaces. The chemicals in RMR 86 rapid mold remover is toxic. Avoid breathing in dust or mists when spraying it onto surfaces, and be sure to wash your face, hands, and any exposed skin after handling. Limit direct exposure by wearing protective gloves and clothing, as well as face protection and eye protection, and never eat, drink or smoke while handling the product. RMR recommends using a fan for aeration during application, allowing for easier inhalation. This is especially useful for confined spaces, such as attics and crawl spaces. The bleach odor the product leaves behind should dissipate within 24 hours. However, the company does recommend using RMR Botanical, a sister product, to mask this odor if it remains offensive for longer than a day. RMR 86 Reviews: Is it worth the money? If you prefer to do your research before heading to the store or stocking an online cart, check out the vast number of positive RMR 86 reviews online. The majority of customers who purchased this product were satisfied with their investment. It is easy to use and effective, providing long-lasting effects when applied as instructed. RMR 86 was tested in the field for more than two years prior to becoming widely available and has proven to maintain its mold-fighting power for up to 120 days, making it an attractive and affordable option. Where can I buy RMR 86? This product is relatively inexpensive and discounts are offered on bulk purchases made from RMR’s site. RMR 86 rapid mold remover packaging contains a detailed user’s guide with step-by-step instructions for use. This is also available in electronic format on the brand website. RMR 86 rapid mold remover should be kept in a cool, ground level area away from surfaces that could be damaged from container leakage (i.e., carpet, upholstery or wood flooring). The product will react with other household chemicals such as those used in deck cleaners, wood restoration products, rust removers, bathroom cleaners, or any products containing ammonia. It has a shelf life of approximately six to eight months when properly stored. RMR 86 is corrosive and should not be used on painted surfaces. Application to ductwork, copper, metal, mechanicals, nail plates, steel, or aluminum should also be avoided. This product is okay to use on roofs and shingles, concrete, wood, siding, toilets and pipes. It should be applied to dry surfaces and is less likely to adhere to frozen or wet areas. Hello would you mind letting me know which hosting company you\’re utilizing? I\’ve loaded your blog in 3 completely different web browsers and I must say this blog loads a lot quicker then most. topic, it may not be a taboo matter but usually folks don\’t speak about such issues. such as you who aren\’t afraid to say how they believe. \”You can hear the ocean if you put this to your ear.\” She put the shell to her ear and screamed. I simply desired to appreciate you again. I do not know what I would\’ve tried without the type of pointers documented by you directly on such a theme. Certainly was the daunting dilemma for me personally, but taking a look at a expert approach you handled it made me to cry with delight. I\’m happier for the help and then trust you really know what an amazing job you were undertaking instructing many others via your web site. I am sure you have never encountered any of us.